To change or improve, you first must understand! 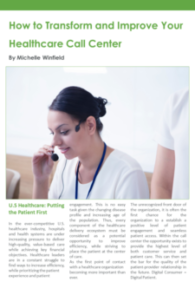 RelateCare’s Director of Business Development and Marketing discusses the important role of the healthcare call center. Published – Monday, August 10, 2017. 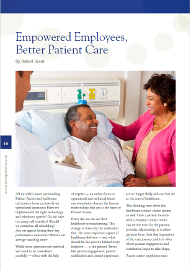 Published in the Access Management Journal, the Official Journal of the National Association of Healthcare Access Management, Dr. Robert Grant illustrates the very important correlation between employee and patient satisfaction. Published – Monday, August 1, 2016. 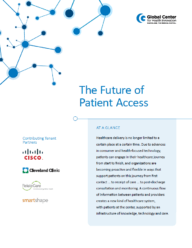 RelateCare, alongside Cleveland Clinic, Cisco Systems and SmartShape, has been deemed a leader in the field of Patient Access for work in Patient Access Optimization, Appointment Scheduling models, state-of-the-art Healthcare Contact Center expertise, and Post Discharge Follow-up Programs. Published – Thursday, April 14, 2016. Dr. Robert Grant, Ph.D., reports back from the mHealth Summit in Washington D.C. and highlights the key terms and trends coming down the line in the world of healthcare and technology. 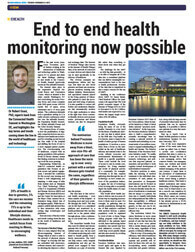 Published – Tuesday, November 24, 2015 in Irish Medical News. 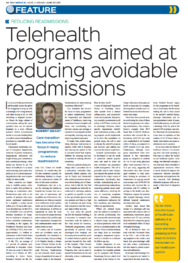 Dr. Robert Grant, Ph.D., writes on how it is possible to reduce avoidable readmissions through telehealth programs. 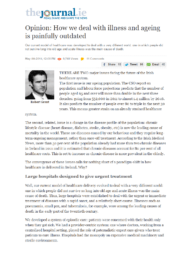 Published – Monday, June 22, 2015 in Irish Medical News. 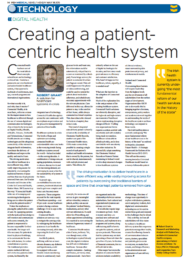 Read about how the creation of a patient-centric system can be beneficial to your organization and your patient. Published – Monday, May 18, 2015 in Irish Medical News. Dr. Robert Grant, Ph.D., provides an opinion piece on how the current model of healthcare was developed to deal with a very different world: one in which people did not survive long into old age and acute illness was the main cause of death. 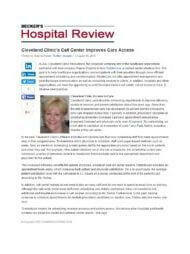 Becker’s reports on how Cleveland Clinic’s call center has improved care access with RelateCare. 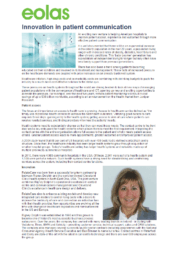 Eolas speaks to RelateCare on how it is helping American hospitals to improve their patient access, patient experience and outcomes through effective communication. Why not review our case stuides also?